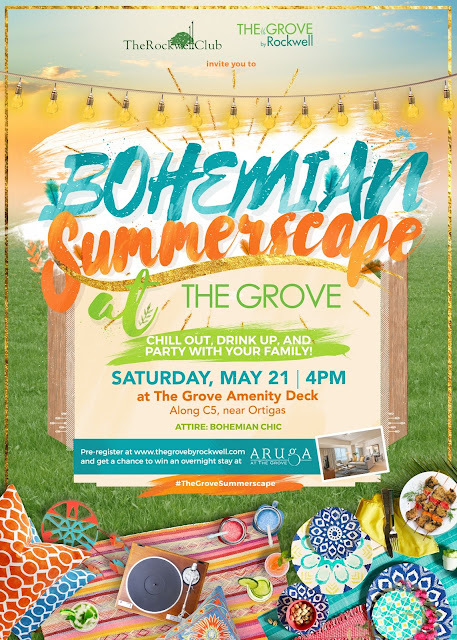 Be a part of Bohemian Summerscape at The Grove by Rockwell on May 21, 2016, 4PM. Dance to the beat of a live band and DJ performances, watch the breathtaking performance of fire dancers, taste the thrill of food and specialty cocktails, let your kids enjoy lifesize inflatables, and experience other exciting activities for you and your family! This is a FREE event but pre-register at www.thegrovebyrockwell.com. for a chance to win an overnight stay at Aruga at The Grove.